← Yoga girl – Om ….. Om…. Om…. Mix and match these fun cards! Sold individually and in packs of 10 and 20. So finally, he asked for your hand and you said “yes”! 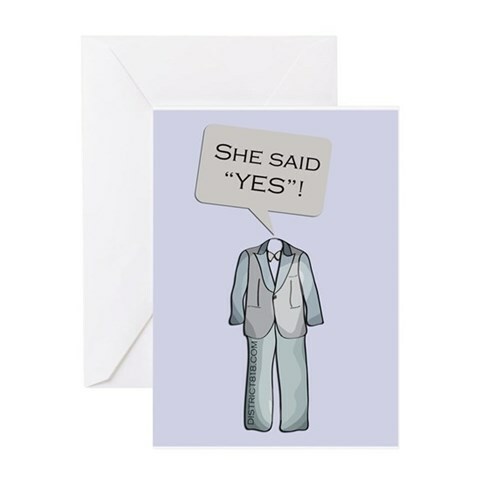 Here’s a cute idea for letting your friends and family know that you’re getting married! On the outside: I said “yes”! And on the inside: I’m getting married! Mix and match it, I made it with a tux as well, so the brides to be can send it out to their friends and family. 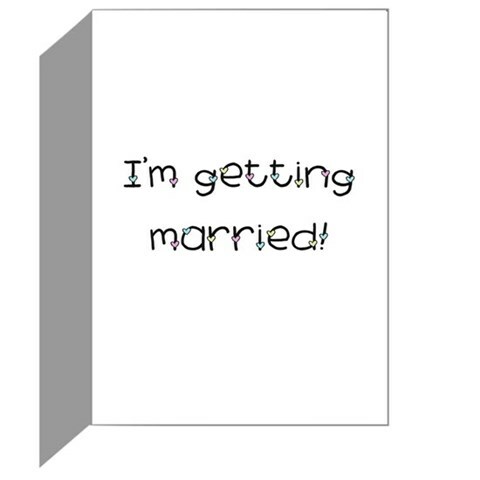 And the grooms to be can send it to their friends and family. Very cute and clever, if I do say so myself. This entry was posted in District818 info and tagged bachelor, bachelor party, bachelorette, best man, bridal shower, bride, groom, invitations, life, love, maid of honor, marriage, note cards, weddings. Bookmark the permalink.